Sprint - "Evelyn is Learning Selfies (Teaser)"
Droga5 was founded with a simple yet ambitious mission: to help build and sustain the most influential businesses and brands of the 21st century. Our inidividual goal for every client is effectiveness, and we strive to achieve that through campaigns that influence culture. It is influence that leads to game-changing business results. Droga5 announced today that it has promoted several executives and made multiple new hires, reinforcing the agency’s commitment to creative problem-solving focused on driving business results for brands. 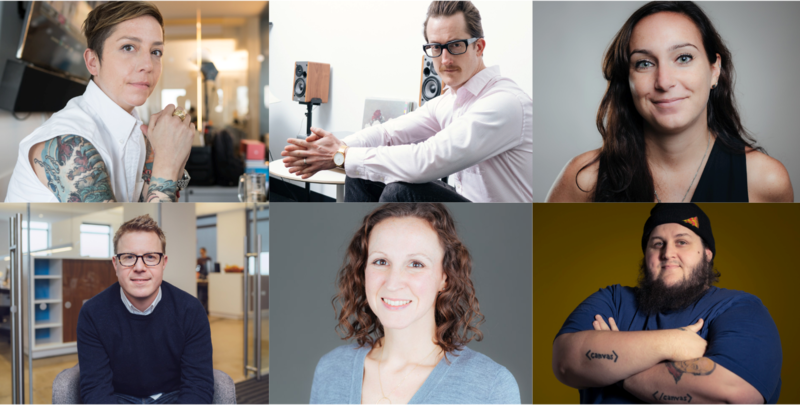 The elevations include Dan Gonda to Managing Director, Tasha Cronin to Co-Director of Interactive Production and Integration Lead and Scott Chinn to Managing Director of Second Child, Droga5’s production studio. This latest wave of talent boosting also includes three new hires. Kelly Harrington rejoins the agency as Business Development Director, Molly McClernon joins as Operations Lead, Production, and Rob Adams joins Second Child in the new post of Head of Engineering. Dan Gonda joined Droga5 in 2013 as the Group Account Director after nearly three years as VP and Management Director at Saatchi & Saatchi New York. With nearly 20 years of industry experience under his belt, he has worked across several brands at Droga5, such as Newcastle Brown Ale, Prudential, Trident and more. Dan was promoted to Head of Account Management at Droga5 in 2015, overseeing the vast majority of accounts as well as ensuring the department operates as a tight group with clear, aligned visions and processes. In his role as Managing Director, Dan will ensure greater collaboration between Droga5’s principal business-facing groups. He will also continue to be a key leader in new-business efforts as well as heading up the Account Management Department. Tasha Cronin arrived at Droga5 in 2015 as a Senior Interactive Producer, rose the ranks to Executive Producer of Interactive and was promoted to Co-Director of Interactive Production in 2017. At Droga5, she has worked with clients including HBO, Blizzard Entertainment and Pizza Hut, to name a few. In her new role as Co-Director of Interactive Production and Integration Lead, Tasha will be charged with bringing disciplines together, leading scoping for the Production Department and helping to continually evolve processes and ways of working across the agency and with new-business initiatives. Scott Chinn joined the agency in 2010 as an Executive Producer, producing a wide variety of integrated works for brands including Prudential, Google, Hennessy and UNICEF Tap Project, among others. In 2017, he was appointed Executive Producer of Second Child, leading the newly minted studio in content creation across film, audio, photography, animation, design and technology development. Scott played a critical role in the studio’s launch, helping to establish its branding, optimize operations and expand the creative and business opportunities. Now, as Managing Director of Second Child, Scott will partner with Droga5’s Chief Creation Officer, Sally-Ann Dale, to continue to grow and expand Second Child as well as help integrate its capabilities within Droga5. Kelly Harrington rejoins Droga5 after her first stint as an Account Director on Sprint. At the start of this year, Kelly went to McCann, where she worked as VP and Account Director on Mastercard. In her new role as Business Development Director, she will channel her ability to handle volume at pace while also applying critical thinking to all new-business efforts. Molly McClernon joins Droga5 from 360i, where she helped grow and manage their Production Department over the past eight years. Most recently, she served in an operational capacity as Deputy Head of Production Operations, responsible for developing and streamlining processes, resource management and overseeing operational strategy for clients such as Kraft, Coca-Cola, Nestlé, Nespresso and National Geographic. Before jumping into the ad world, Molly worked in marketing at Condé Nast and dabbled in corporate event production at Jack Morton Worldwide. In her role as Operations Lead, Production, Molly will be responsible for team resourcing, financial tracking and analysis and maintaining efficient departmental operations and processes. Rob Adams joins Second Child from 360i, where he served as VP and Director of Engineering. With 18 years of experience in advertising, and after seven years freelancing in print production and flash animation, Rob has held several full-time technology development and programming roles at agencies such as JWT and Code and Theory. In his role as Head of Engineering at Second Child, Rob will lead the development of interactive and technology projects, tapping into his skill-set range, from server-infrastructure design and site builds to cloud-based automation and machine learning.